Uzbekistan is planning to build its first nuclear power plant with assistance from Russia. 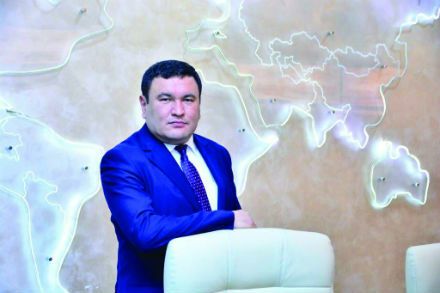 Jurabek Mirzamakhmudov, director general of Uzatom speaks to NEI about these plans. NEI: In 2014 Uzbek officials denied that there were any plans to develop nuclear energy. What has changed? JM: Following the selection of the new President of the Republic of Uzbekistan, changes have taken place in many areas, both in internal policy and in foreign policy. Being a pragmatic person, the new President began large-scale reforms...including changing the country’s course towards nuclear energy. The International Monetary Fund forecasts that Uzbekistan’s economy will grow at 5%-6% a year up to 2023. This economic growth will be accompanied by a rise in population. These factors mean Uzbekistan’s energy demands will increase. According to the forecast for 2030, demand for electricity will double, to 117TWh. Uzbekistan is currently too reliant on natural gas, which accounts for 85% of its power output. Uzbekistan needs more sources of energy to reach its future targets, and to be able to power the country’s growth. That’s why the new President of Uzbekistan chose nuclear energy, one of the most environmentally friendly energy sources, as one of the ways to achieve these targets. It is in the economic interests of the country. Nuclear energy can: account for about 15% of energy generation within the country by 2030; increase the energy export potential; enable the use natural gas for other purposes such as petrochemicals production or export; and achieve a reduction of 14 million tonnes of CO2 emissions and 36,000 tonnes of nitrogen oxides and improve the environment. NEI: Have you selected a site? What are the selection criteria? JM: Uzbekistan is now choosing the ideal location for the planned nuclear power facility, and geological and seismic surveys are underway. On this issue, Uzbekistan will strictly comply with the recommendations of the International Atomic Energy Agency (IAEA) and established regulations. It is necessary to conduct research on at least three sites. Research includes geological, hydrological, meteorological surveys and seismic, economic, infrastructure research. These works will be carried out within 1-1.5 years. In this regard, it is impossible now to talk about the specific location, as these works are ongoing. For our part, we assure you that the selection of the site will be done in full compliance with all international safety requirements and recommendations of the IAEA. NEI: Why did you choose VVER-1200 technology? JM: Uzbekistan paid attention first of all to safety, as well as compliance with the climatic and seismological conditions of the region and international requirements and recommendations of the IAEA. Rosatom State Corporation is one of the leading companies in the world, which offers a modern evolutionary generation 3+ VVER technology project, which meets modern international requirements and IAEA recommendations. Because of these factors, and taking into account its long experience and world leadership in the field of nuclear energy, Rosatom was chosen as a partner. Nuclear power plants with VVER-1200 reactors possess the latest achievements and developments meeting all post-Fukushima safety requirements. NEI: What is the arrangement with Russia? JM: Under the Intergovernmental Agreement between the Republic of Uzbekistan and the Russian Federation on cooperation in the construction of a nuclear power plant in the territory of the Republic of Uzbekistan, an engineering, procurement and construction (EPC) contract for the construction of an NPP will be signed with Rosatom, which will act as general contractor. The EPC will be funded by the Uzbekistan government and soft loans from the Russian government. After completion of construction and commissioning, the NPP will be handed over completely to the Uzbek operator. NEI: Will Russia supply and take back fuel for the plant? JM: In accordance with global practice, the first step in organising the safe management of spent nuclear fuel (SNF) and radioactive waste (RW) is the development of a national concept for the SNF and RW management. Currently, strategic directions in the field of SNF management are the establishment of a reliable system for long-term storage and the development of processing technologies, as well as the creation of an industrial infrastructure for the disposal of radioactive waste generated during processing, and negotiations are ongoing on this issue with our partners. Further detail on fuel sources will be available in next years. NEI: You have a well-established uranium mining industry – will this supply uranium for the reactors? JM: Uzbekistan is the seventh largest uranium producer in the world currently, and the contribution of Uzbek uranium to the proposed nuclear plant is one of the subjects being discussed with Uzatom’s Russian technological partner. As you know, in order to use uranium in nuclear power plants, a long process is needed from enriching the uranium to preparing fuel pellets that are placed into fuel assemblies. In this case, it is necessary look at the economic feasibility. Further detail on fuel sources will be available in 2019. Uzatom remains focused on sources of fuel that best serve the interests of Uzbekistan, as well as making maximum use of local resources both during construction and operation. NEI: What arrangements are being planned to deal with waste? JM: Uzbekistan has many years of experience in the management of radioactive waste, as there is a radioactive waste disposal facility at the Institute of Nuclear Physics of the Academy of Sciences of the Republic of Uzbekistan. Currently together with Rosatom, different options are being worked out for cooperation in the field of spent nuclear fuel and radioactive waste management. Specific cooperation mechanisms in this area will be governed by future agreements and contracts, taking into account the national interests of Uzbekistan. NEI: What infrastructure and legislation is being put in place to support the NPP? JM: After the decision on the development of nuclear energy in Uzbekistan, attention was first focused on the creation of a legislative framework in this area. A draft law “On the Use of Atomic Energy for Peaceful Purposes” was drafted, which will soon be submitted to the legislative chamber of the Parliament. Also several decrees and resolutions of the President of the Republic of Uzbekistan were adopted, according to which the Uzatom Agency was established, which is responsible for preparing and implementing Uzbekistan’s coordinated national policies, and strategic areas in the use of nuclear energy for peaceful purposes. Also because of the lack of regulatory acts in the field of atomic energy in the Republic of Uzbekistan, the Government decided to apply the norms and standards of the Russian Federation in this field. NEI: What about regulation and safety? JM: A decree and resolution of the President of the Republic of Uzbekistan was recently adopted on improving the system of public administration and supervision in the areas of industrial, radiation and nuclear safety, according to which a regulatory body for nuclear energy was formed – the Department of Nuclear Safety based on the newly transformed state inspectorate at the State Committee for Industrial Safety. The main tasks of this Department are the development of proposals on priority areas of state policy in the field of radiation and nuclear safety, the organisation of effective state regulation and control in the field of nuclear safety and the development of regulatory documents in the field of technical regulation on nuclear safety issues in the use of atomic energy. This department will also ensure the fulfilment of the obligations of the Republic of Uzbekistan under international treaties in the peaceful uses of atomic energy. NEI: Are you considering further nuclear plants after the initial one is operating? JM: We are planning to look into such opportunities after 2025, when we are in the active stage of NPP construction, and we will see how developments in nuclear area progress. NEI: Do you envisage exporting electricity to neighbouring countries? JM: Uzbekistan is currently exporting electricity to neighbouring countries, and with the start-up of the 2.4GW NPP the potential for energy export will increase. Afghanistan is a perfect example – a country which shares a land border with Uzbekistan. The countries share a high-voltage connection, with plans to build a second. There is a scope for widespread regional cooperation too. The Central Asian electricity loop is being reconnected and Uzbekistan has a significant role to play in assisting its neighbours. NEI: You recently visited Belarus, Ukraine and Japan. What were the purpose and outcome of those visits? JM: Uzbekistan is considered as a newcomer country in the field of nuclear energy and for the development of this industry we will need the experience of countries that have a developed nuclear infrastructure. Friendly countries immediately responded with their support and visits to Japan, Hungary, Ukraine and Belarus were carried out. These included visits to existing nuclear plants and those under development; several meetings were held with government bodies in the field of nuclear energy. There was an exchange of experience in the development of legislation, project management for the construction of NPPs and training of personnel. Particular attention was paid to cooperation in the field of personnel training and agreements have been reached in organising training courses and internships at nuclear power plants in those countries. NEI: One of your research reactors is being decommissioned. What plans to you have to develop your nuclear research facilities and for training? JM: Currently fundamental research is continuing with the use of the research reactor VVR-SM. This reactor has been updated with the help of the IAEA grants. We have big plans for training related to nuclear power plants. On 20 July 2018, the President of the Republic of Uzbekistan issued a Resolution “On the establishment and organisation in the Tashkent branch of the Federal State Autonomous Educational Institution of Higher Education National Research Nuclear University MEPhI”. In addition, this year, 50 Uzbek students, including six on a master’s programme, have already been accepted at MEPhI. Also, the National University of Uzbekistan and Samarkand State University have organised the reception and training of students in the fields of nuclear physics.